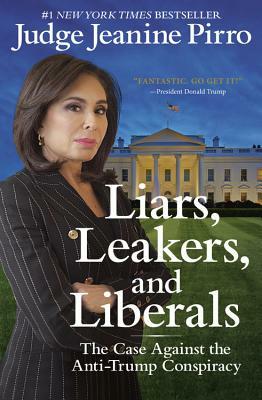 Jeanine Pirro is a highly respected judge, former district attorney, elected politician, sought-after legal commentator, author, and champion of women's rights. Pirro is the host of Justice with Judge Jeanine and for three years hosted Judge Jeanine Pirro, for which she won an Emmy. She also appears regularly as a legal analyst and judicial commentator on Today, Good Morning America, The Early Show, 60 Minutes, CNN, and the Fox News Channel. In 1990, she became the first elected female judge to sit on the Westchester County court bench. In 1993, Judge Pirro was also elected district attorney of Westchester County, once again setting a precedent as the first female to hold that position. Judge Pirro received national recognition for founding one of the country's first domestic violence units and has worked tirelessly to change the legal landscape to reflect the needs of the silent victims of violent crime. She has two children, two dogs, and a pig, and lives in Westchester, New York.